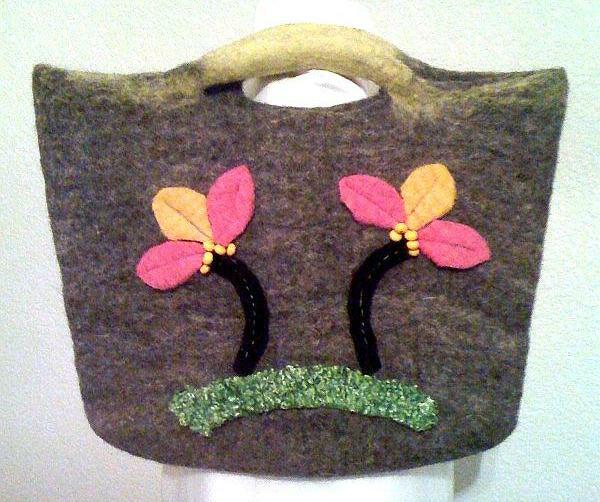 Winter is on its way and we are PSYCHED about felted bags! We’ll be posting many, many more of these shortly, but for now visit the Shop page to purchase this amazing piece! Grey and yellow felted bag with felted pink palm tree appliques…JUST the thing to get you in the Winter vacation spirit!